Tomb Raider 2 Greenlit, Amy Jump to Write | Nerd Much? 2018’s Tomb Raider theatrical reboot didn’t exactly blow anyone’s socks off. I suppose it could describe it as fine by most accounts. 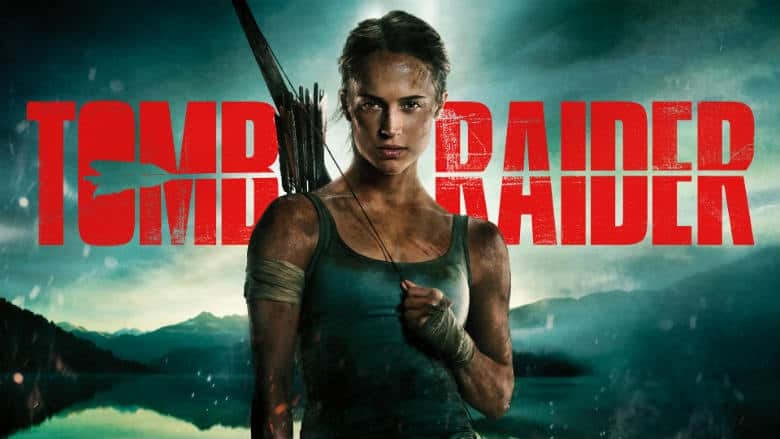 But it appears as though fine is fine enough for MGM and Warner Bros., as Tomb Raider 2 has reportedly gotten the greenlight from the studios. The first film only brought in about $275 million during its box office run last year. Add that to a critical response that was mixed at best, and Warner Bros. and MGM’s decision becomes a curious one. Regardless, Tomb Raider 2 is apparently happening. And the studios have decided upon writer Amy Jump to handle the sequel’s script. Last year’s reboot of the movie franchise took many of the plot elements from Crystal Dynamics’ own 2013 reboot of the video game series. Tomb Raider 2, written by Jump, would expound upon the narrative pre-established, with Lara Croft now on the hunt for Trinity. Deadline’s report on the sequel confirms that actress Alicia Vikander would return as Lara. As for Jump, the writer’s two most notable scripting credits are likely 2015’s High-Rise and 2016’s Free Fire. The former is a British dystopian drama with a pretty robust cast. Players included Tom Hiddleston, Jeremy Irons, Sienna Miller, Luke Evans, and Elisabeth Moss. While Free Fire was a British action comedy that featured Sharlto Copley, Armie Hammer, Brie Larson, Cillian Murphy and others. The second entry in Crystal Dynamics and Square Enix’s modern Tomb Raider universe is 2015’s Rise of the Tomb Raider. This adventure takes Lara to Siberia as she seeks out the legendary city of Kitezh. She must thwart Trinity here once again as the organization hopes to uncover the secret to immortality lost within the city. It’s unclear if MGM, Warner Bros. and Jump plan to use Rise of the Tomb Raider, or its sequel Shadow of the Tomb Raider, as inspiration for the next entry in the film universe. Or whether the creative team on the next movie will instead forge their own path.